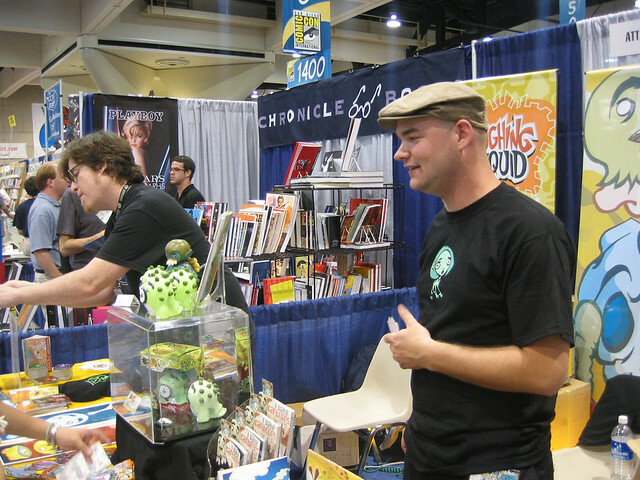 Laughing Squid, Attaboy’s Yumfactory, Gobler Toys, Annie Owens and mikl-em shared booth 1333 at Comic-Con in San Diego from July 16th through the 20th. Here’s photographic evidence of their participation. WARNING! Real live geeks in their natural habitat.